Instructions given through written narratives can be complicated, not to mention monotonous. Sometimes, long narratives aren’t paid much attention to, this is why some would prefer to use flowcharts. 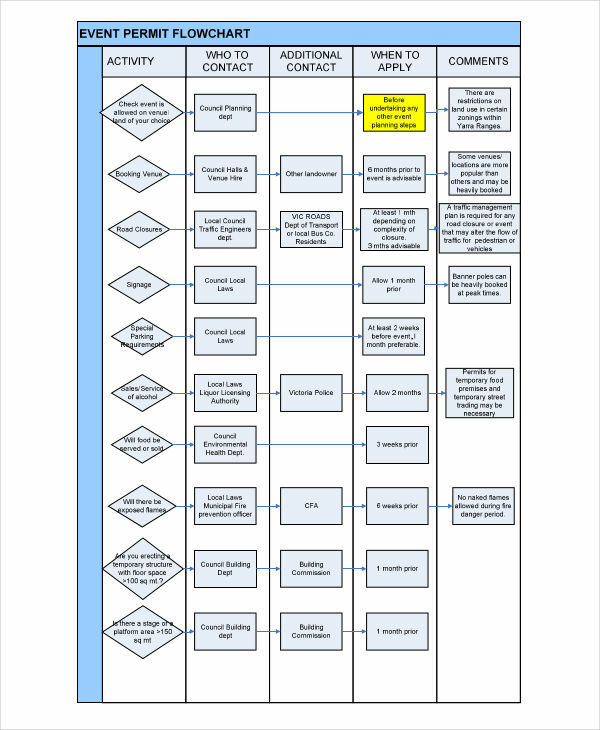 Flowcharts visually present a particular flow of data concisely. With this, processes and events are easier to understand and perform. Flowcharts are used for various purposes, such as for computer algorithms and the like, and allow individuals to execute such effectively. 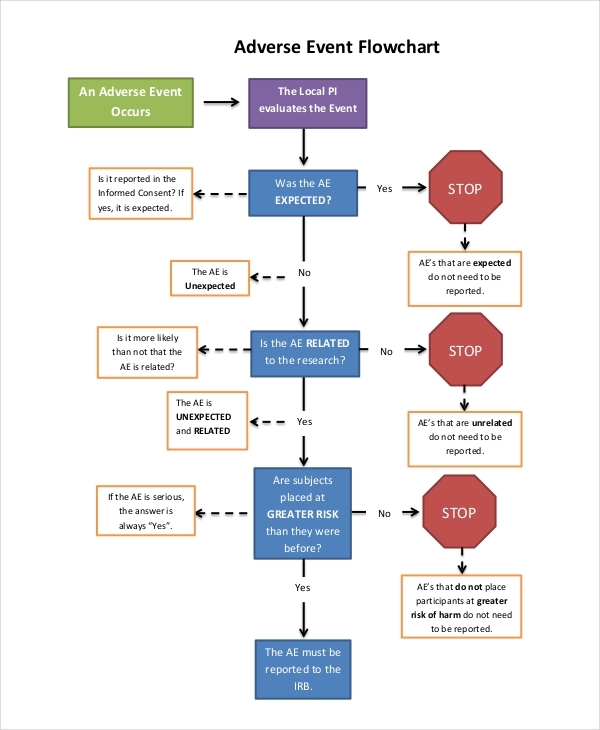 What Is an Event Flowchart? An event flowchart is a type of chart used to document a flow of events. It is a visual representation of business steps for probable scenarios. 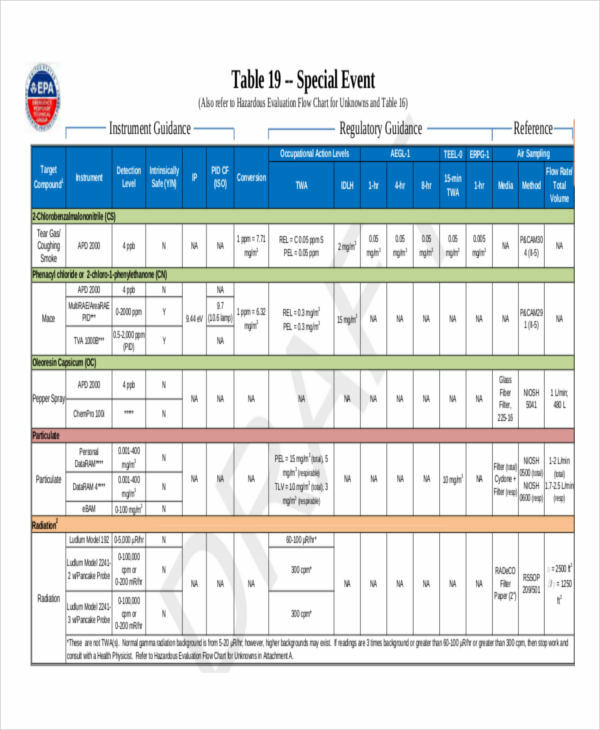 It typically consists of a layout of events enclosed in a table or a specified shape. It can graphically explain a process using short texts and symbols. Take note that each shape represents a given purpose, this is notable in basic flowchart examples. 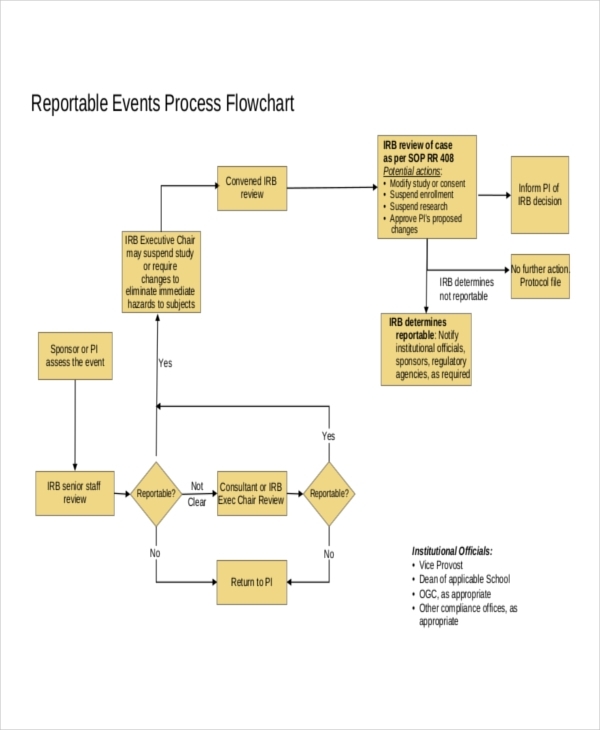 An event flowchart is capable of representing data concisely in a systematic manner. How to Make an Event Flowchart? Before creating any flowchart, you need to ponder on its purpose. This will help you properly organize the flow of events. 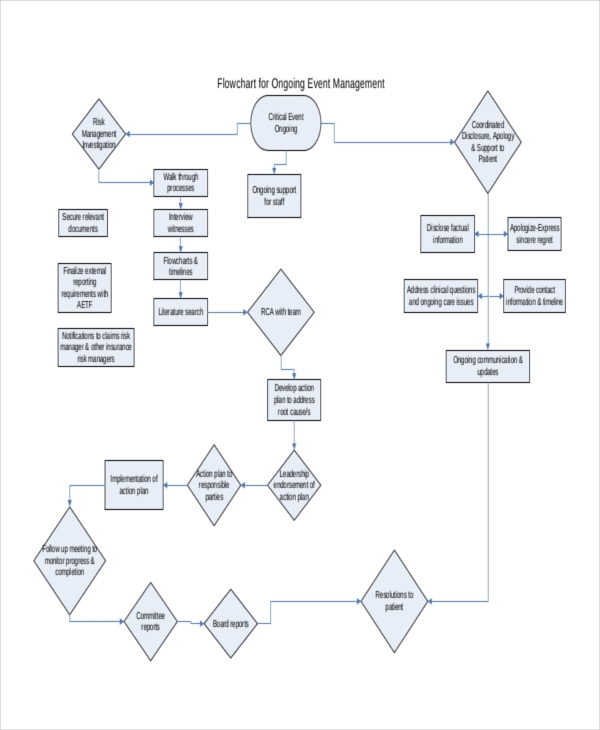 Creating an event flow chart example is simple, as long as you know every process. It’s best to separate specific events and list each concisely. There might be events that will require decisions to be made, you can deal with such scenarios by indicating alternative actions using diamond-shaped boxes for yes/no questions. It’s best to list only what is necessary. 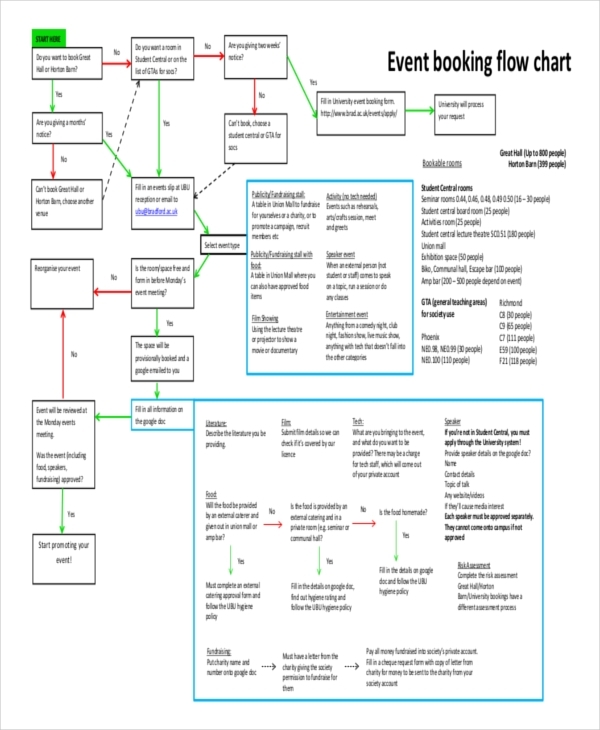 You can refer to other business flow chart examples as a guide. 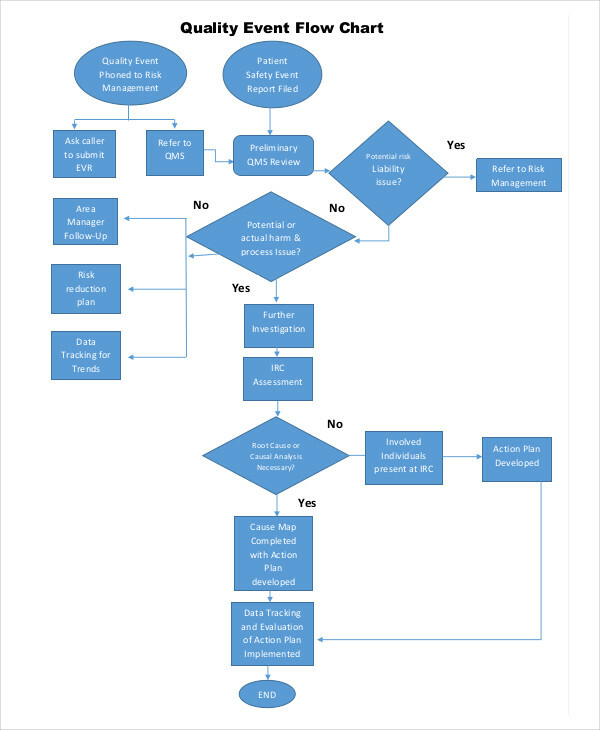 An event flowchart can help you effectively manage a work flow. This way, it will be easier for you to determine lapses in a given process and assess what needs to be changed without having to renew the rest of the steps. You’ll be able to take appropriate control of your current business process. A structured sequence of operations to be performed is simpler to understand as well. It is also an effective method of documenting an event process. This is proven to be more efficient than writing a narrative. There are flowchart examples that can give you a glimpse of how it works out. List all the necessary requirements. You can start out by creating a draft and listing the procedure in logical order. 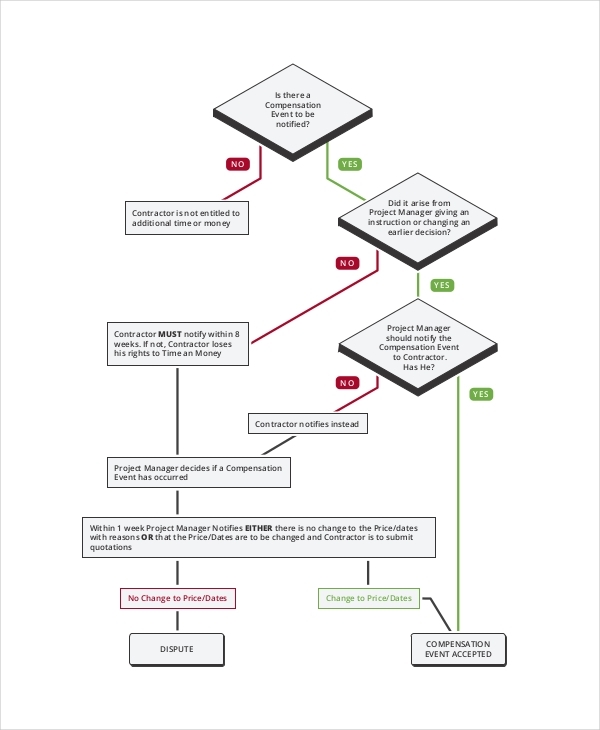 You can refer to similar management flow chart examples to help get yourself started. Brainstorm possible problems. There may be circumstances that can greatly affect the overall process, it’s best to resolve these problems beforehand. Use the proper flowchart symbols. Although only a few symbols are used for event flowcharts compared to computer programs, using the right symbols will help describe the events more clearly. Avoid intersecting flow lines. This will only complicate your flowchart making it much more difficult to understand. Clarity is key. A flow chart should be clear enough to follow.